Blog — Amazon Best Seller! I was lucky to have had Physicians' Untold Stories featured on The Higher Side Chats recently. It was a lot of fun to talk to Greg and share the history of the book and some stories. You can listen to the audio HERE or on Youtube HERE. Physicians' Untold Stories Was Featured on Paranormal UK Radio! I was lucky enough recently to be a featured guest on Paranormal UK Radio. It was a lot of fun to be on the radio in such a far away location from little Wheaton, Illinois. I did my best and I think the listeners enjoyed it as the show has over 400 downloads so far. Be sure to listen in HERE. Be Sure To Listen Live To My Newest Interview On ParaTalkRadio! 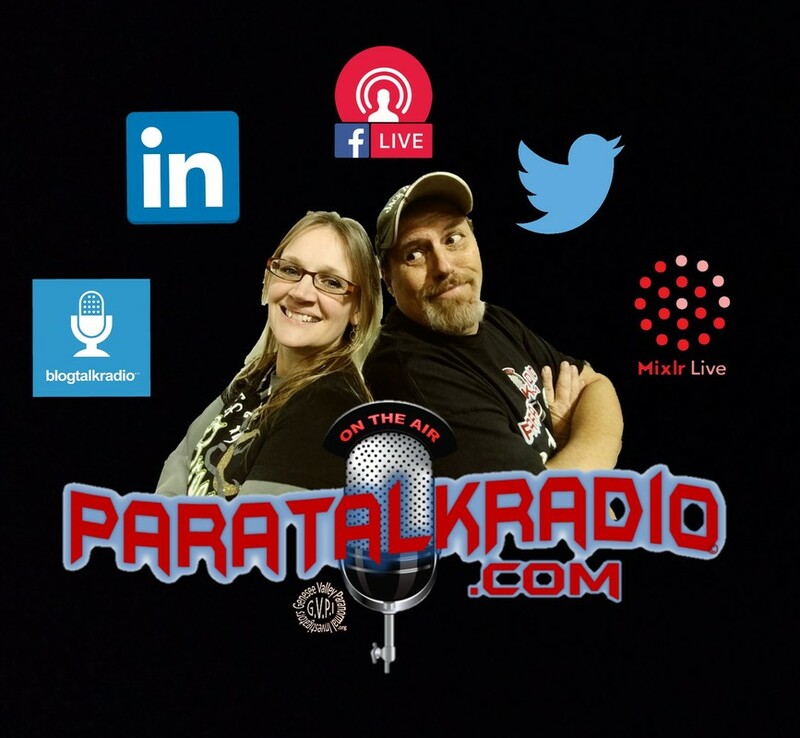 This Monday, the 19th, starting at 8:00 EST I will be interviewed by Ted and Cindy of ParaTalkRadio. This is a live interview and all are invited to listen. Check out the details HERE. I am looking forward to sharing some stories from Physicians' Untold Stories and taking questions about the origins of the book, some key insights I found while writing it, and answering some listener questions. I was lucky to be asked to speak again at Belmont Village Senior Living on March 1, 2018. I could be wrong but I think the crowd was bigger than last time! It was great to share some stories from the book and mingle with the crowd after. It is always amazing to hear the audiences' miraculous stories from their own lives. It truly gives me a boost in faith to hear story after story of how the creator actively participates in our lives even today. I had the most wonderful experience being the featured guest speaker at the Community Church of the Verdes in Rio Verde, Arizona this past weekend. So humbled to see and speak to over 350 attendees and also sign books and visit one on one at the private reception held at the Tonto Verde Country Club. Everyone could not have been more gracious and welcoming. Thank you to Phyllis and Al Stamper for inviting me to take part in this special evening. 3 of my children, their spouses and 7 of my grandchildren also surprised me by showing up at the event! I was overwhelmed with emotion by having them come and see me speak. Being able to share this experience with them was truly amazing. I had a wonderful experience being a guest on The Brothers Mysterium! Great discussion and great questions. Thanks so much for having me on.